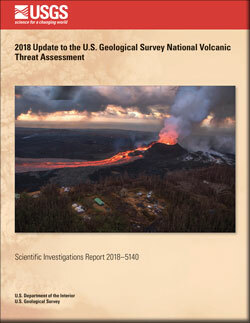 The United States ranks third, behind Indonesia and Japan, in the number of historically active volcanoes (that is, those for which we have written accounts of eruptions). 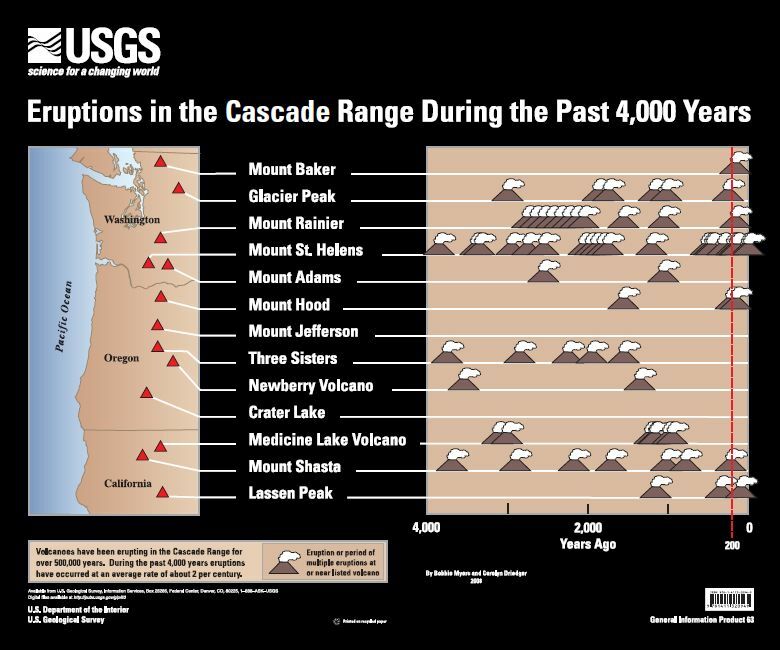 In addition, about 10 percent of the more than 1,500 volcanoes that have erupted in the past 10,000 years are located in the United States. 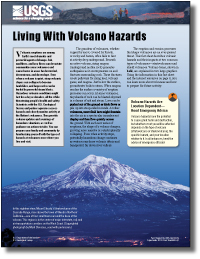 Most of these volcanoes are found in the Aleutian Islands, the Alaska Peninsula, the Hawaiian Islands, and the Cascade Range of the Pacific Northwest. 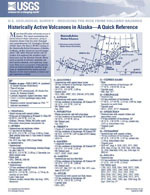 Stovall, Wendy K.; Marcaida, Mae; Mangan, Margaret T.
Wallace, Kristi L.; McGimsey, Robert G.; Miller, Thomas P.
Historically active volcanoes in Alaska - a quick reference; 2000; FS; 118-00; Wallace, Kristi L.; McGimsey, Robert G.; Miller, Thomas P.
When lava from the Pu'u 'Ō'ō-Kupaianaha eruption, active since 1983, meets the ocean, large littoral explosions can result. 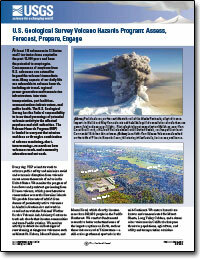 Ascending eruption cloud from Redoubt Volcano as viewed to the west from the Kenai Peninsula. The mushroom-shaped plume rose from avalanches of hot debris (pyroclastic flows) that cascaded down the north flank of the volcano. 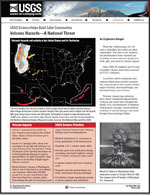 A smaller, white steam plume rises from the summit crater. The volcanoes from closest to farthest are Mt. Washington, Three Fingered Jack, Mt. Jefferson. This picture is taken from Middle Sister looking north in the Cascade Range, Three Sisters Wilderness Area, Deschutes National Forest, Oregon.